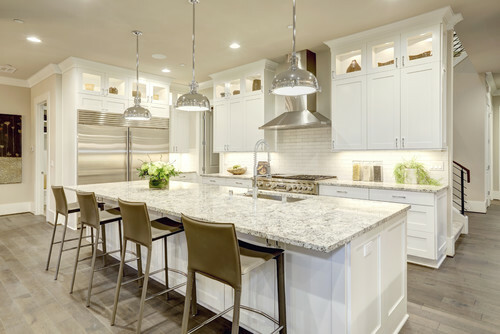 You may not realize it, but kitchen lighting is one of the most important items you have to consider when designing a kitchen. 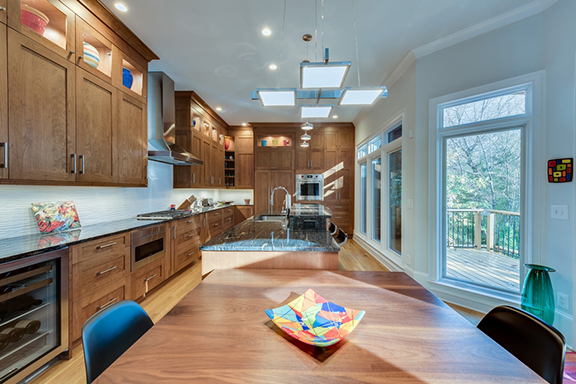 If the lighting is poorly designed, you destroy your kitchens function and visual punch. 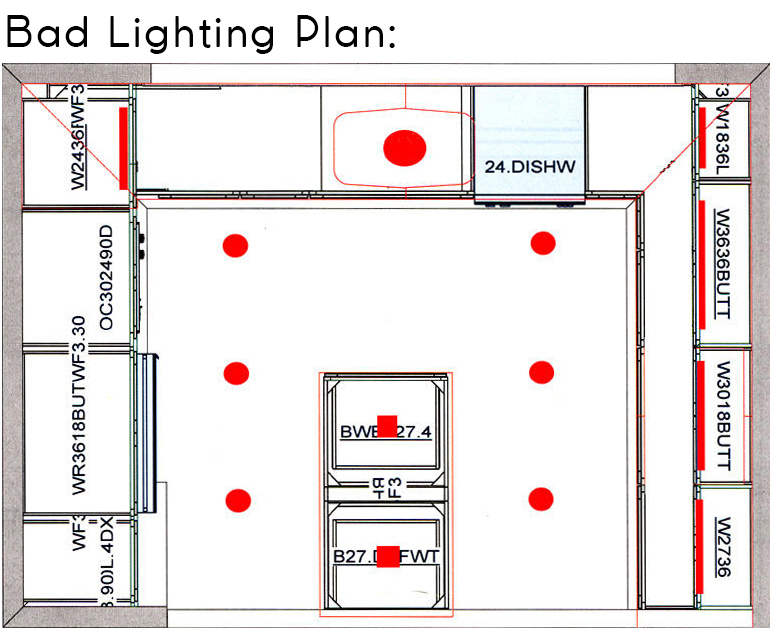 There are 3 different levels of lighting to consider: Task lighting, function lighting, and drama lighting. “Task” and “Function” lighting should be discussed together, as it’s the kind of lighting that you should never skimp on when designing a kitchen. 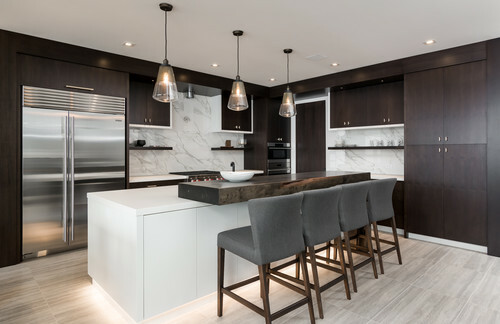 You want to make sure when you’re creating your lighting plan, you design it to build functional workspaces and adding lights where you need them most…think under cabinet lighting to illuminate the countertops, and recessed can lighting over work surfaces like the sink and cooktop. Another lighting mistake is installing under cabinet lighting at the back of the upper cabinet instead of the front. By pushing the lighting to the wall, it creates more light against the backsplash as opposed to onto the countertop; by pulling them forward, you’ll create a much better task light. 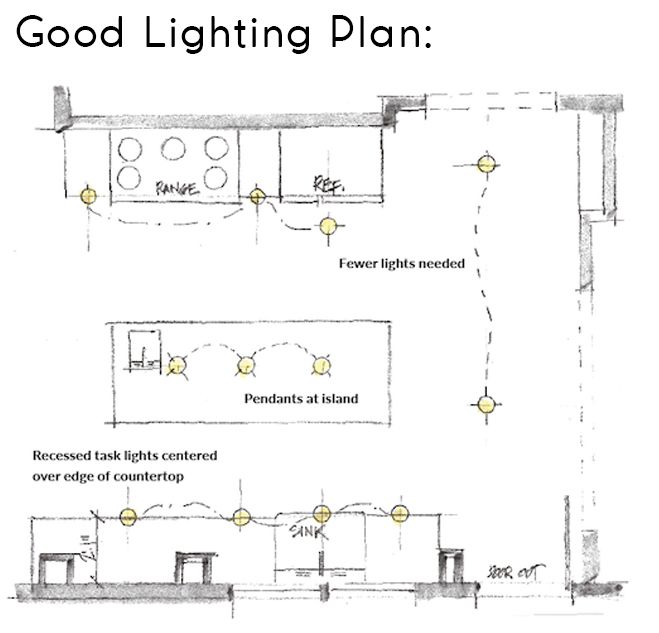 Now onto the fun stuff…“Drama” lighting is the lighting that you don’t necessarily need, per se, but it is what creates the wow factor when you walk into the room. These types of light fixtures are where you can really add your own personal touch into the space—think pendant lights, sconces, toe kick lighting, in-cabinet accent lights, or even color changing lights. 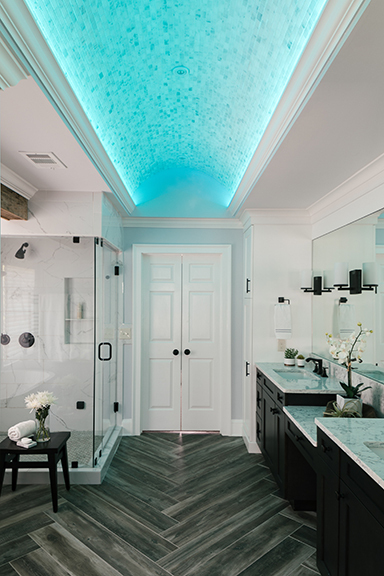 Granted, these types of lights can still add to the “task” and “function” categories, but their main purpose is to draw attention and make the room feel complete. We recommend that our clients do at least 1 type of drama light and typically multiple types are used to add that “wow!” factor. -Opt for LED lighting for both recessed and under cabinet lighting, I prefer 3000k temperature as it’s a more neutral color tone. They are a more expensive investment on the front end, but the energy savings and long bulb life make them well worth the added expense! -Always use dimmer switches, as they give you the ability to change the ambiance of the room in a matter of seconds. Brighter lighting is best for cooking and prep, while a toned down light is friendlier for entertaining and socializing. -Always use at least 1 type of “drama” light, but be careful not to overdo it. Too much drama lighting can create visual clutter and lose the impact. 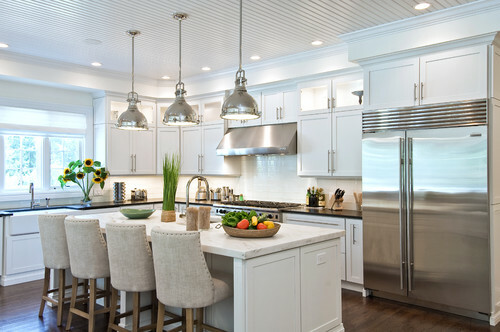 Start with mixing one hanging fixture [such as a sconce or pendant light] and add in 1 non-hanging fixture [such as toe kick or in-cabinet lighting].